ARTium/Def JamFresh from winning a Golden Globe award, John Legend is now an Oscar nominee. 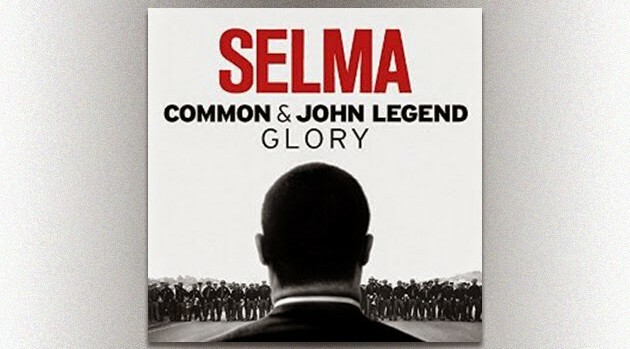 The singer has been nominated in the category of Best Original Song for “Glory,” which he and rapper Common co-wrote for the movie Selma. “So grateful for @TheAcademy Award nomination for GLORY!!! On MLK’s birthday! !” tweeted John. Indeed, today, January 15 is the birthday of Dr. Martin Luther King Jr., and Selma is about the 1965 voting rights marches from Selma to Montgomery, Alabama, which were led by Dr. King and others. Other than “Glory,” no other songs that were up for Golden Globes received Oscar nods. Instead, the rest of the nominees include “Everything Is Awesome,” from The Lego Movie; “Grateful,” from Beyond the Lights; “I’m Not Gonna Miss You,” from the documentary about country music legend Glen Campbell entitled Glen Campbell…I’ll Be Me; and “Lost Stars,” from Begin Again. You may be familiar with “Lost Stars,” since Adam Levine performed it on this past season of The Voice. In the movie itself, Adam, who also was one of the stars, sang the song, but it was actually written by Gregg Alexander and Danielle Brisebois, from the short-lived ’90s group New Radicals. The Academy Awards will air on ABC February 22.